Following all the dubious boasts about votes cast and crowd sizes, people have started not to believes any of the record-breaking numerical claims coming from the White House. 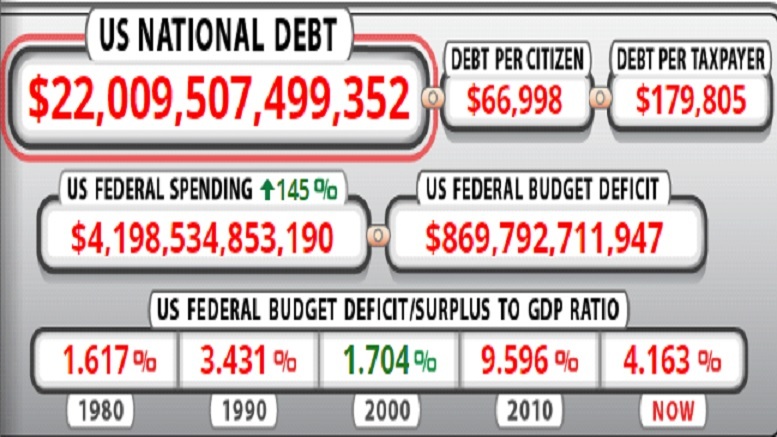 But the President has redeemed himself by setting a numerical record we can all have faith in, the 22 trillion dollar national debt. Though leaders normally avoid any association with the national debt, Trump’s innate attraction to anything ‘yuge’ has him taking full credit for this one. Financial experts say people shouldn’t dismiss Trump’s claim to be responsible for the debt, as he has taken concrete steps to play a part. Be the first to comment on "Trump Finally Sets Record We Can Believe"